...... The latter is especially useful for helping untangle a botched first-round of narration, for instance, from a perfect screen recording. In previous versions, you would just have to rerecord until you got them both right. 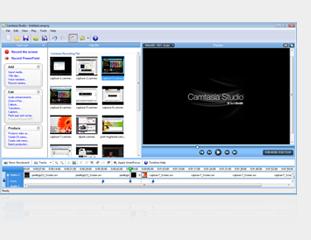 Camtasia Studio Version 8.0 features support for HD, timesaving editing hotkeys, and the ability to edit audio and video tracks independently. Qweas is providing links to Camtasia Studio 8.0.1 as a courtesy, and makes no representations regarding Camtasia Studio or any other applications or any information related thereto. Any questions, complaints or claims regarding this application Camtasia Studio 8.0.1 must be directed to the appropriate software vendor. You may click the publisher link of Camtasia Studio on the top of this page to get more details about the vendor.